The simplest, most powerful way to trade any market. Entry, exit and stop signals for over 10,000 stocks, ETF’s, futures and forex. Pinpoint market timing. And unprecedented transparency. View Our Overview Videos Here! Over 8,600 stocks, 36 index categories, sector & industry trend rankings, and both end-of-day & intraday signals. 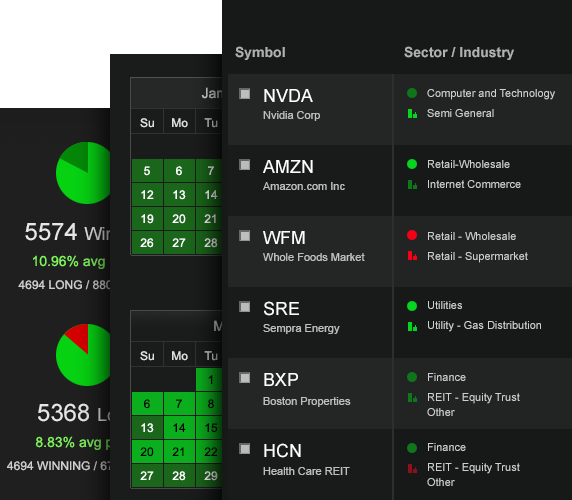 Over 1,280 ETF’s, 43 categories from all sectors and geographic regions, and both end-of-day & intraday signals. 36 futures contracts from across 8 categories, including indices, metals, energies, currencies, financials, meats and softs. 28 Forex pairs, including the USD, EUR, JPY, GBP, AUD, CAD and CHF. We offer all the major pairs and crosses. The Wizard’s intuitive interface has completely streamlined the trading process. 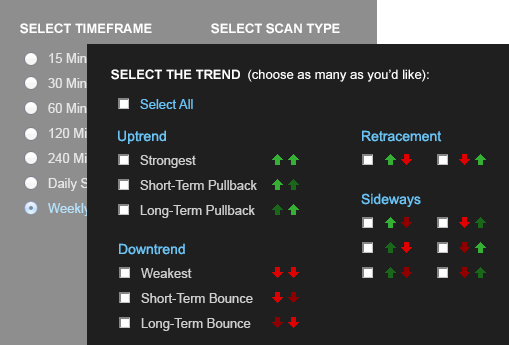 With just a few mouse clicks, you can choose your market, set your trade requirements and see your trade signals. No matter what market you trade, we’ve made it easy to do.